Tacoma 101 – What’s A PreRunner? 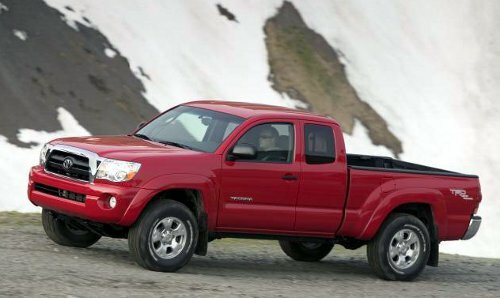 If you’re new to the Tacoma, you might not have heard of a “Tacoma PreRunner,” a specific 2WD Tacoma package offered by Toyota since 1998. Popular because of it’s 4×4 look, the PreRunner is the most common type of 2WD Tacoma you will see. Technically, the word “prerunner” refers to a vehicle that pre-runs an off-road race course. A lot of off-road racers have a designated prerunner that’s very similar to their actual race vehicle, which gives them a chance to run a course without having to ding up their race truck. The more common definition of the word “prerunner” is a 2WD truck that has a lift kit. The Tacoma PreRunner basically matches this description, but a lot of people build prerunners with long-travel suspensions, 500hp motors, etc. Basically, the word prerunner means different things to different people…but now you know enough to join the debate. Same wheels as 4×4 Tacoma: PreRunners have 6 lug wheels, just like the 4×4 Tacoma. Regular 2wds have 5 lug wheels. Keep in mind that Tacoma ground clearance will very from one truck to the next, so you may find a PreRunner that only has 1″ more of ground clearance and then another one right next to it that has 2″ more. Also, some PreRunner Access and Double Cabs may not have come with an engine skidplate (although all of them have a transfer case skid plate). I have a 2011 Tacoma Prerunner SR5. Standard OEM 16″ steel wheels. Tires are 245/75/16. Will standard OEM 16″ wheels from a 2010 FJ fit? And can I increase size of my tires to 265/75/16? I have a 1994 tacoma with 5 lug x l4.5. Will 2011 steel wheel with a 5 lug x 115mm fit my 1994 truck? The1994 is a 14 inch wheel 2wd. The 2011 is a 15 in 2wd. The mechanical differences are simply 2wd versus 4wd. There can be some after market modifications done, but that is about it. The SR used to denote a sport model back in the 1970s and 80s, but now just stands for a different trim level.